This is the sixth "Who Painted This"? This week I've had to remove the signature which was a tad too explicit about who in fact painted this! I have some clues worked out for if people have difficulty identifying this painter. See below for the rules for how to submit your answer. How to Participate in "Who Painted This? 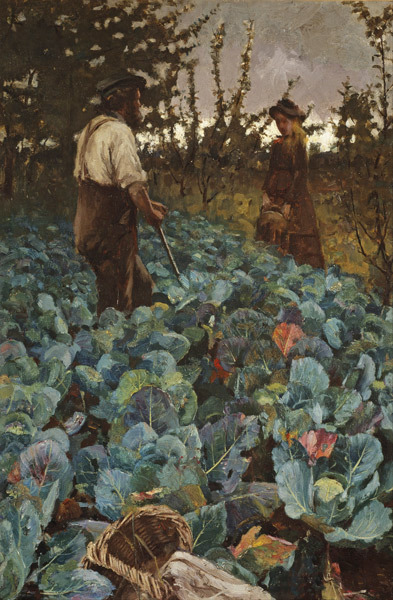 #6"
The sub-theme of this challenge is about finding out more about artists and artworks - so it's actually as much about your enjoyment of the process as it is about the answer. PLEASE make sure you read the rules before posting a comment - and ONLY post what you think is the answer on this blog. Posted by Making A Mark on Friday, November 30, 2012 13 comments Who's linking to this post? 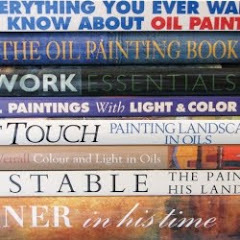 I've reviewed the listings and updated Makingamark's Top 10 Fine Art Books and have identified the best art books in November 2012. 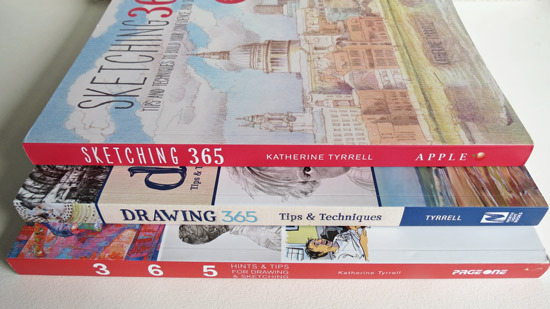 This is always a very long exercise and one which I was getting bored doing earlier this year as the books had started to 'stick' and there were very few changes in the listings. However, after people worked out how to "fix" Amazon listings, it would appear that Amazon has changed its approach and it now seems likely I'll be back to doing an update on at least at least a quarterly if not monthly basis. 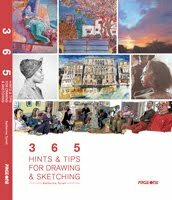 However right now - this is the one to inform your response to any questions from relatives or friends along the lines of "Would you like an art book for Christmas?"! I've picked out a few of the book for comment below. Posted by Making A Mark on Thursday, November 29, 2012 1 comments Who's linking to this post? 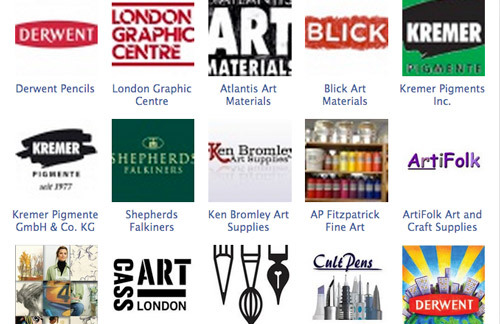 These are the major art exhibitions at major art museums and galleries in London in late Autumn 2010 / Winter 2011. The list is organised by art gallery and museum. Within each venue the exhibitions are in date order and dates are highlighted. 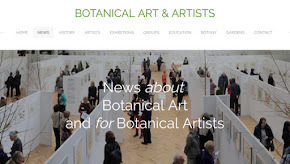 The links in the names of the exhibitions are to their microsite pages (where available) of the relevant art gallery or museum where you can see them. So - are you planning to go and see any of these exhibitions? This looks at early and contemporary photography alongside paintings by Old Masters and reviews how the traditions of fine art have influenced photography. This is the National gallery's first major exhibition of photography. Richard Hamilton died, age 89 in 2011. This is a retrospective exhibition of his late work and includes art never before seen in public. Not a large exhibition - just 30 oil sketches from American collections plus one completed painting 'Niagara Falls, from the American Side' (1867) - but one which many plein air painters will want to try and visit! I've popped into this one and intend to go back as it looks absolutely fascinating. 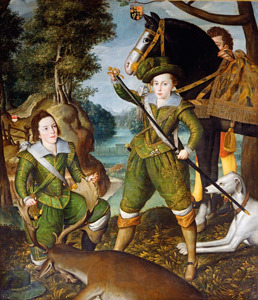 It's about the life of Henry, Prince of Wales (1594-1612) who died age 18. I'm looking forward to this one as I've heard a lot about Man Ray but I think I've only ever seen his photographs in books. The first major museum retrospective of the influential and innovative artist’s photographic portraits. The remarkable portraits created during George Catlin's five trips to the western United States. He documented the look and dress of Native American people and their way of life. Posted by Making A Mark on Wednesday, November 28, 2012 2 comments Who's linking to this post? Posted by Making A Mark on Tuesday, November 27, 2012 0 comments Who's linking to this post? I'm thinking it might make a few other tutors smile - and for those yet to go on a painting holiday it gives you an insight into the sort of people who go. I personally find the painting hats are always a bit of a giveaway! I've got my fingers crossed that I'm coming to the end of the cold/flu bug and that I'll be able to get out and about again this week. It's been two weeks so far. Tina Mammoser (In the Studio, On the Shore) last week shared her process for producing a painting all the way through to the final study prior to painting - see Cliff challenge - from site, to photo, to drawing. I found it interesting that it was putting a photograph into Elements and then using filters helped her sort out what were the main shapes and lines she wanted to focus on. 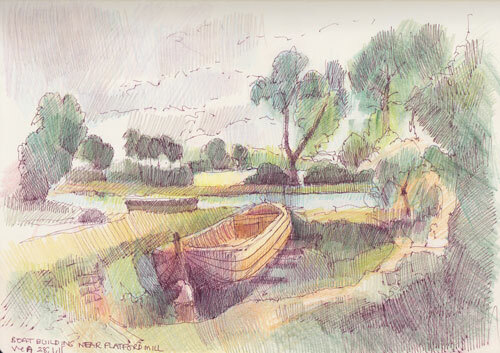 Vivien Blackburn (Painting, Prints and Stuff) has been demonstrating at the NEC for Derwent and now she's got her new scanner up and running has started to post some of the examples of small works she did during demonstrations using the Derwent Art Bars. 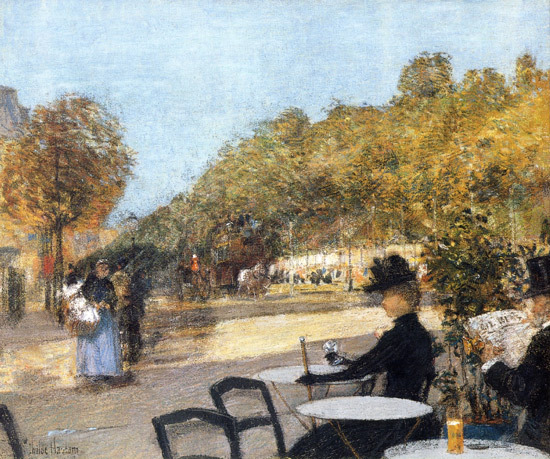 I found some great images by Degas on the The Poul Webb Art Blog. Not too sure where the text is coming from though. Edgar Degas - After the Bath - the series of artworks he did about women after a bath. If you read back through the last few posts on Sherrie Yorks's Brush and Baren blog you'll be able to follow the process used in producing a linocut print - of a Magpie. As always Sherrie ie very generous in her sharing and explanations of how she works. Congratulations to Adebanji Alade the winner of "Who painted this" #4. 13 people got the correct answer! 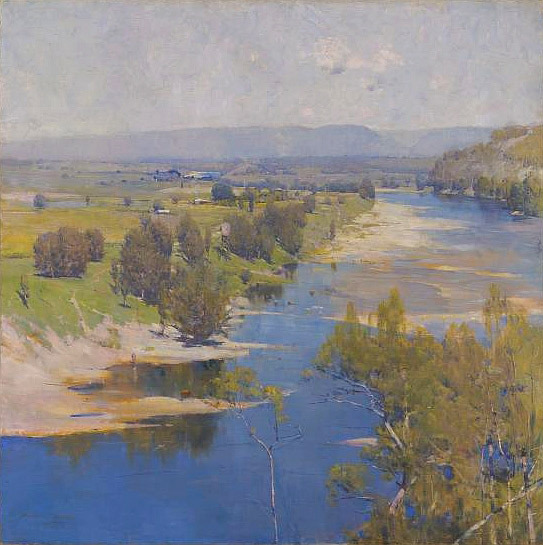 The correct answer was that this was a painting of the Hawkesbury River by Australian landscape painter Arthur Streeton. It's 4 foot square and he painted it plein air! This is Who painted this? #5 - remember to read the rules carefully. 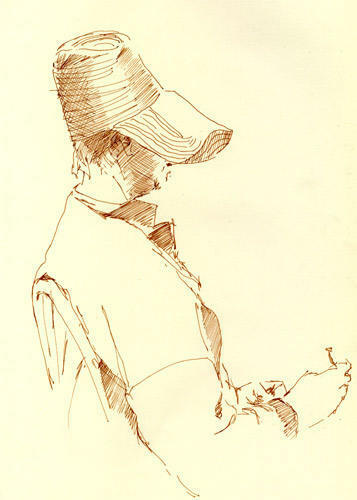 I loved Michael Chesley Johnson's Advice to Galleries on his blog A Plein Air Painter. Having visited some of the galleries in Carmel, California I must say I agree! While on Artsyshark, Suzanne Connors (SaxArt Gallery) was offering A Gallery Owner’s View: What Artists Need to Know. It provides an interesting commentary on some of the pitfalls of running a co-operative gallery. My advice to SaxArt is that they need to review and improve the Home Page of their website. 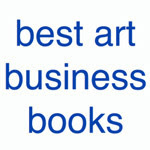 Most do not realize that an art gallery is a business and that operating a business is a 24/7 commitment. Running an art gallery is hard work and it requires wearing many hats. Professional Artist Magazine has a new publication The Pocket Guide to Web Marketing for Artists Get started with marketing and selling your art on the web with this easy-to-use and informative guide. 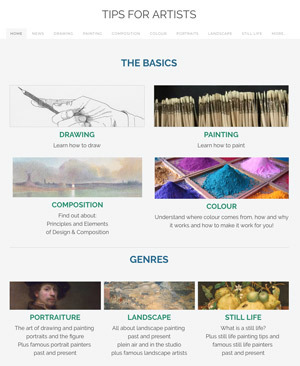 own-it is funded by the University of the Arts in London and provides a (mostly) free service in relation to intellectual property, copyright and trademarks. Own-it London has produced a video about choosing/using/protecting company names - see Choosing Your Company's Name and Protecting Your Reputation by on Vimeo. this is the link Constable, Gainsborough, Turner and the Making of Landscape (8 December 2012—17 February 2013) in The John Madejski Fine Rooms and Weston Rooms. Letters by Gainsborough, Turner’s watercolour box and Constable’s palette will also be on display, bringing their artistic practice to life. this is the third show this year to present Turner in company with other artists – it's as if he is no longer safe to be let out on his own. Through the efforts of her hard-working husband, my friend Louise Sackett (Plein Speaking - Painting plein air in Wind Canyon) has finally achieved a personal goal - the grand opening of an exhibition in her very own studio - the 'Wind Canyon Studio' just outside Silver City in New Mexico. See Grand Opening! - Its Official. This is a rather good video of Royal Academician Anish Kapoor doing his bit for campaigning for human rights in China and the activities of Wei Wei - Gangnam for Freedom - Anish Kapoor and Friends (Official Video). Posted by Making A Mark on Monday, November 26, 2012 7 comments Who's linking to this post? Categories art, art blogs, Art Business and Marketing, exhibition, painting, who's made a mark this week? Posted by Making A Mark on Saturday, November 24, 2012 0 comments Who's linking to this post? This is the fifth in my series of challenges about Who Painted This? I've been writing about a new portraiture prize this week and this week's post is a portrait - but NOT a self-portrait. It is however half of a pair of drawings by two artists and I'll show you the other one when I give you the answer next week. I take an extremely dim view of people who do not read the rules and in doing so spoil the challenge for others. 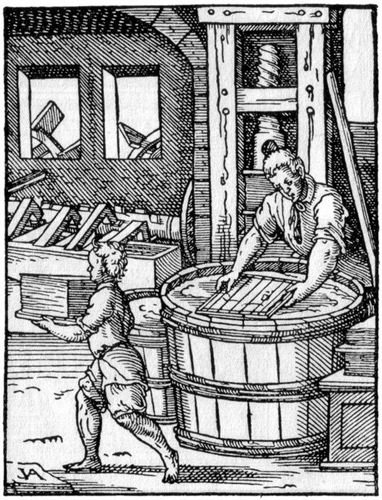 As always the sub-theme of this challenge is about finding out more about artists and artworks ie it's about the process just as much as it's about the answer. PLEASE do NOT use any of the "image matching" technology which exists (eg Chrome or Tineye) - that's just plain lazy and not the point of the challenge! My suspicions will be raised by those who appear to know the answer a bit too quickly and/or fail to identify themselves! 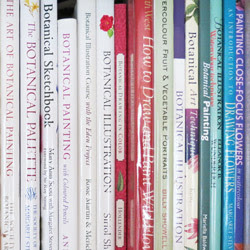 You can look at as many books as you like! Do NOT leave the answer as a comment on Facebook. If you do I will delete the comment and you will NOT be declared the winner. my very popular weekly blog post "Who's made a mark this week?" the post with next week's challenge. I will leave a clue - as a comment on the post - if you're not not getting anywhere in the first 24 hours. I do NOT publish the correct answers (in full or part) until a week later - assuming somebody actually gets the answer! Which means if your comment is not published you know you could be on the right lines. Plus it also means others can have the enjoyment of the challenge even if they are probably too late to win. The comments are also published in the order they were left not the order that I open them - which means you can all see who got the right answer first and provided all the details. Hence AFTER publication of this post and BEFORE the day of the publication of the next post (i.e. next Friday) I ONLY publish all the incorrect answers and all the howls of frustration! Posted by Making A Mark on Friday, November 23, 2012 17 comments Who's linking to this post? The Royal Society of Portrait Painters today formally launched a brand new £20,000 prize called SELF - to be awarded for the best self-portrait submitted to their Annual Exhibition. This post highlights who can enter what and how - within the content of the Call for Entries for the Annual Exhibition and the other prizes also on offer. I'm also adding in the odd interesting self-portrait by non-members! 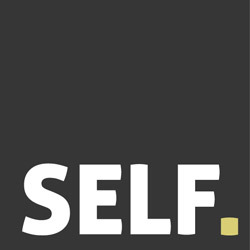 The brand new SELF prize pushes the boundaries of self-representation in painting, printing and drawing, seeking submissions of original and adventurous self-portraits. 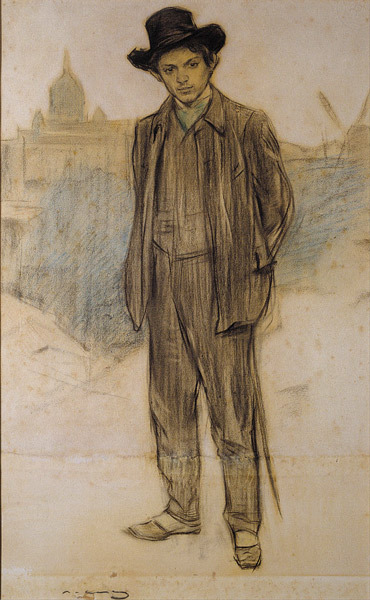 Free from the constraints of commissioned portrait painting, the self-portrait does not have to flatter the sitter, pay a model, play slave to time or money, nor reflect a likeness in the literal sense; the artist is at liberty to push the boundaries and experiment. SELF - Who can enter? Posted by Making A Mark on Thursday, November 22, 2012 0 comments Who's linking to this post? 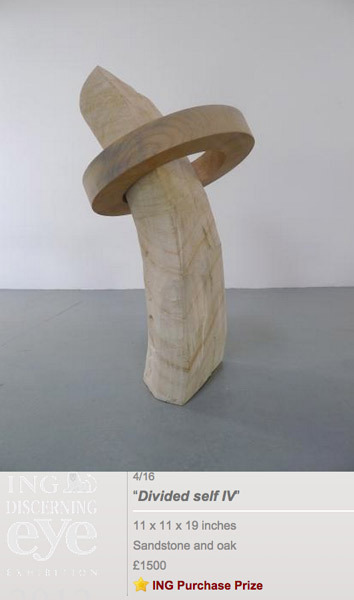 A rather impressive sandstone and oak sculpture Divided Self IV by Owen Bullet won the £5,000 ING Prize by ING Commercial Banking at the ING Discerning Eye Exhibition 2012. In this post I highlight the prizewinners and comment on the selectors choices. The ING Discerning Eye Exhibition continues at the Mall Galleries until Sunday 25th November. 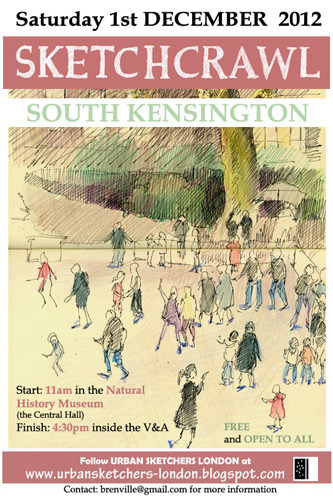 Entrance is free and the exhibition is open every day 10-5. The ING Discerning Eye Exhibition is a show of small works independently selected by six prominent figures from different areas of the art world: two artists, two collectors and two critics. Work is selected from open submission and from artists invited by the individual selectors. Each selector's section is hung separately giving the impression of six small exhibitions within the whole. I've been trying to get to see the exhibition since it opened but am still suffering from my dreadful bug so thought I better get on with writing up what I know about the prizewinners! This would appear to be the first major prize won by Owen Bullet. You can also Bullet's other work chosen for the exhibition - Bullet's Divided Self I, II, III, V and VI. He was invited to exhibit by one of the Selectors Skye Sherwin writer and art critic, The Guardian. Interestingly his work really stands out on the ING website as "a class act". His website indicates a man who has been producing some very striking pieces of sculpture and exhibiting widely - particularly in the last three years. You can also see more of his work on the website. He makes some extraordinarily intelligent and elegant pieces - I absolutely love "About Turn" and Tail Spin and this from a woman who likes to buy original art in wood! Owen's primary materials are wood, metal and stone which he crafts as individual elements, collectively developing their own sense of character. Through this process the works become animators of space or performers creating events in particular places. Posted by Making A Mark on Wednesday, November 21, 2012 3 comments Who's linking to this post? This is the second post in my Guide to Facebook Interest Lists. Check out the numbers of subscribers! Why learn about Interest Lists? What determines what news we get to read? Why use a Facebook Interest List? Remember - If you make your very own Facebook List you get 100% of the posts and not just the 10% that Facebook decide you can look at. Plus if you encourage people to include your Facebook Page in their list they also see all the content you produce - better make sure it's good! How do I use lists to organize my friends? What's the difference between a list and a group? Which one should I create? Posted by Making A Mark on Tuesday, November 20, 2012 4 comments Who's linking to this post? Are you conscious you're not seeing all the content you want to see on Facebook? Maybe you're fed up with seeing rather too much of what you don't want to see? This post looks at how you can use Facebook Interest Lists to make it very easy to access all the content you want to read. In Part 1 I'm sharing what I've found out about news feeds and falling traffic and why Interest Lists are a good idea. Part 2 tomorrow looks at how to make an effective Interest List. 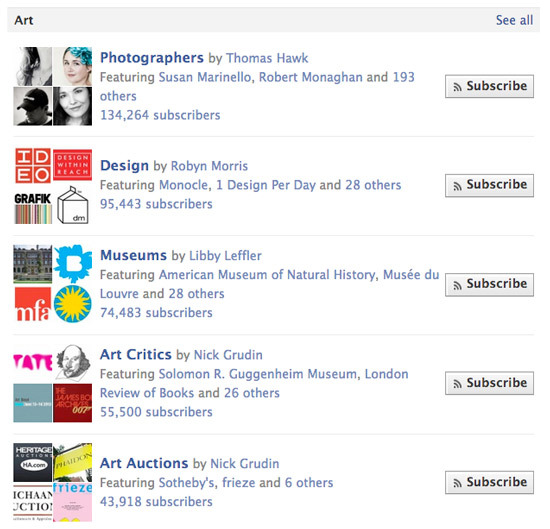 PLUS - Today I'm also sharing some of my Facebook Interest Lists which are relevant to artists and have a public status. Take a look and check them out (you need to be signed into Facebook). Do please bear in mind I'm still developing these! To be honest I'm not sure I've got all the settings rights as yet but I'm sure you'll give me feedback if there's anything not working correctly! Two simple reasons - First, they enable all of us to determine better what we see and read relating to what interests us. Second, if we encourage other people to use Interest Lists too - and to include our Facebook account or Page - then our content might be read by more people and we might get more traffic to our websites/blogs. Posted by Making A Mark on Monday, November 19, 2012 5 comments Who's linking to this post? 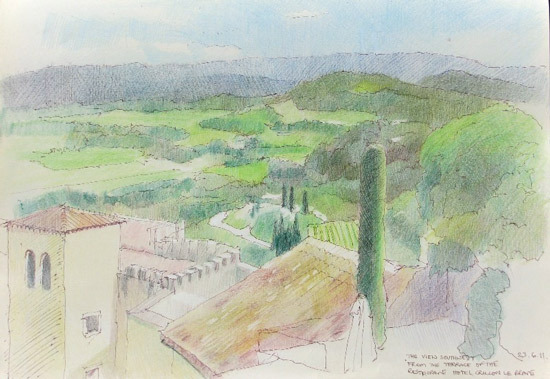 Four days ago, Julian Merrow Smith (Postcard from Provence) announced to his mailing list that next summer there are going to be Postcard from Provence Painting Holidays. They're not cheap but dates for the two courses already announced are already fully subscribed and consideration is now being given to adding more dates. So if you want to be painting the Vaucluse on a postcard next summer you need to be on the mailing list if you're not already! I've had a really dreadful head cold all week so have not been reading as much as usual. Mercifully the cold is finally coming to an end which is good as I'm totally lemsipped out! 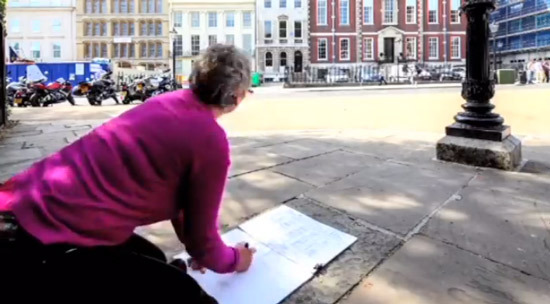 This week I found out about the project 10 x 10 Drawing the West End of London. It's so interesting to see the drawings and urban sketches of much more famous names! I forgot to make a note of where I came across this recommended interview with Daniel Sprick - Liminal Spaces: A Conversation with Daniel Sprick (on Painting Perceptions) - but it's a good read and there's lots of good painting to look at too. 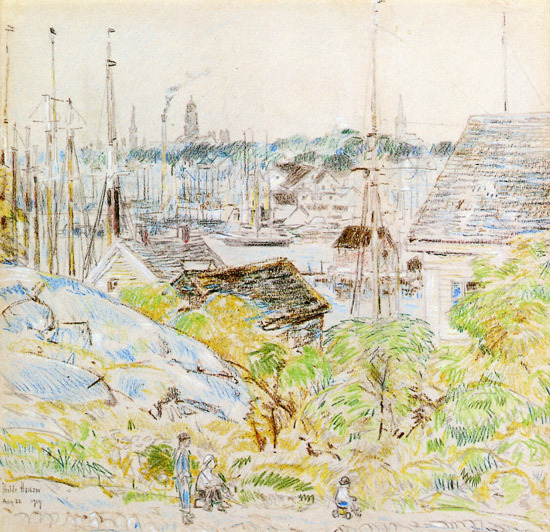 Childe Hassam used pastels (see Who Painted This? #3 and above) but he also used coloured pencils for sketching! See yesterday's post. Suddenly all becomes clear as to why I like this man! Vivien Blackburn's artwork is behind the flyer for the new Derwent Art Prize and last week she was demonstrating at the Art Materials fare. Demonstrating for Derwent at the NEC. Vivien is coming back to us after some very necessary time out related to the illness and then passing of her husband last month. Click the link if you've not come across the CPSA Facebook Page before. 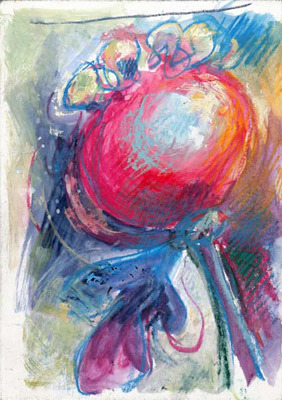 The winner of Who Painted This #3 was Sue Smith (Sue's Sketch Blog). She did it the correct (and hard) way and says she learned a lot about American Impressionists en route to the right answer. Who painted this #4 was posted on Friday afternoon and I'm now holding a number of comments which correctly identify the artist. I won't be publishing them until Friday so you still have time to see if you can guess it. I'm loving the explanations I'm getting for why people got it! 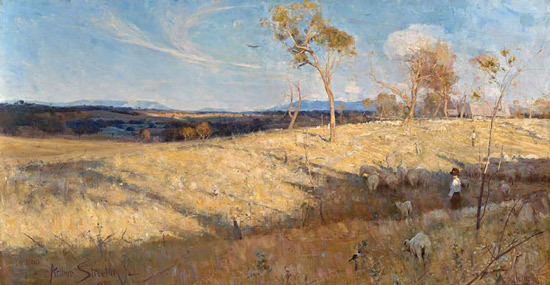 For those who haven't got it yet, it's worth noting that it was painted plein air without an easel! Posted by Making A Mark on Monday, November 19, 2012 0 comments Who's linking to this post? Categories art, art blogs, Art Business and Marketing, art economy, art education, Art Galleries and Museums, art history, artist, exhibition, pastels, who's made a mark this week? oil on canvas 42 in. x 22.25 in. Courtesy of The White House Collection, The White House, Washington, D. C.
This one is owned by the White House and now hangs in the Oval Office following President Obama's replacement of Texas landscapes with rather more traditional White House paintings. While I like his urban landscapes a lot, I particularly like the series of paintings of the Isles of Schoals (off New Hampshire). 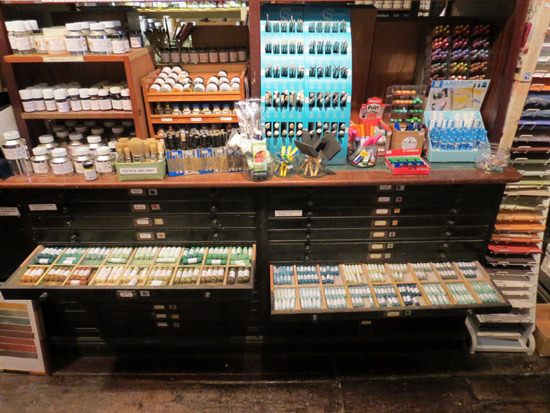 I'm also naturally pleased to find out that he's a man who used to sketch using coloured pencils! So - had you heard of him before? Will you be investigating him more now you know he's an American Impressionist painter? Posted by Making A Mark on Saturday, November 17, 2012 2 comments Who's linking to this post? This is the fourth Who Painted This?. 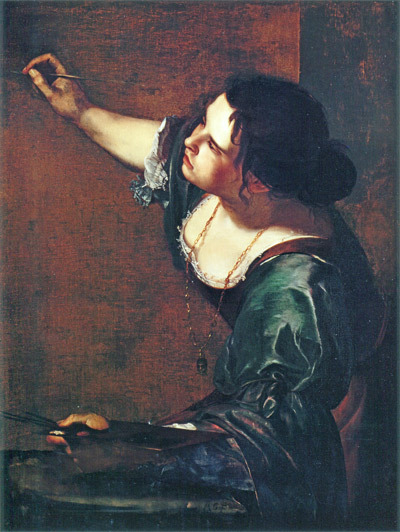 The sub-theme of this challenge is about finding out more about artists or paintings. I think I'd only come across this artist a couple of times before I found this painting. Make of that what you will. This is about using brains not technology - so please do not "cheat". PLEASE do NOT use any of the "image matching" technology which exists (eg Chrome or Tineye) - that's just plain lazy! My suspicions will be raised by those who appear to know the answer a bit too quickly! You may use Google or any other search engine to search on WORDS in databases of images. If you're not getting anywhere in the first 24 hours I'll leave a clue as a comment on the post. The person who in my judgement is the first person to get to the answer by fair means will get a mention in my very popular weekly blog post - along with a link to their website or blog or both. After publication of this post I ONLY publish all the incorrect answers and all the howls of frustration! However I do NOT publish the comments by all those who name the artist correctly and/or provide ALL the correct details until a week later - assuming somebody actually gets the answer! The comments are also published in the order they were left not the order that I open them. So if your comment is not published you know you could be on the right lines. Posted by Making A Mark on Friday, November 16, 2012 22 comments Who's linking to this post? Today is Georgia O'Keeffe's 125th Birthday - so to celebrate here's a Pandora's box - all about Georgia. If you like her work I'd suggest you do not open until you have some time on your hands! Her Estate keeps very careful control of her images so I have none to post here. Below is the table of contents of what this site covers - and there's a LOT below each of these headings. I've been building and improving this website ever since my 2007 project to research her work! I love this quotation of what Georgia had to say to those people who developed their own ideas about what her flower paintings were about. If I could paint the flower exactly as I see it no one would see what I see because I would paint it small like the flower is small. So I said to myself - I'll paint what I see - what the flower is to me but I'll paint it big and they will be surprised into taking time to look at it - I will make even busy New Yorkers take time to see what I see of flowers. Here's an Architectural Digest slideshow of photos of her home at Abiquiu in new Mexico. Georgia O'Keeffe was born on 15 November 1887 in a farmhouse near Sun Prairie, Wisconsin. She died, age 98 in Santa Fe on March 6, 1986. Her ashes were taken up to the top of the Pedernal and as they were scattered to the wind she returned to her beloved "faraway". Posted by Making A Mark on Thursday, November 15, 2012 3 comments Who's linking to this post? The 25th article of the Universal Declaration of Human Rights asserts that adequate shelter and housing are fundamental to our human rights. Article 25, the UK organisation, works to enable this right by building solutions to global problems. The project focuses on a different area of the city each year, with a grid of 100 squares laid over the chosen area. 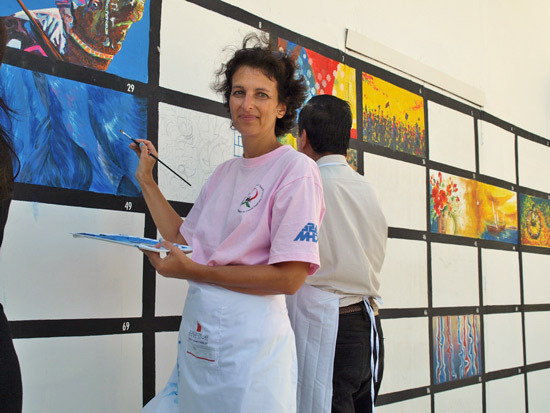 The resulting squares are then allocated to the participants who create an original artwork based on the buildings and public space within it. These pieces of artwork form a collective snapshot of London from one-hundred personal view points, forming a unique showcase of British architectural heritage. 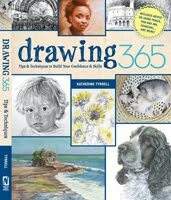 The Drawing Weekend - which happened this year on 15th September - is when the drawing takes place. Here's a video of what happened. These are the participants - I spotted two artists who I recently featured in 'Built" : recording and responding to the construction process - Patricia Cain, ("Soho Construction") Jeanette Barnes (No. 66 Lincoln’s Inn Field). Norman Ackroyd "Study of September Sunlight"
Lord Norman Foster "The British Museum - A Working Sketch"
as well as an awful lot of architects and designers. 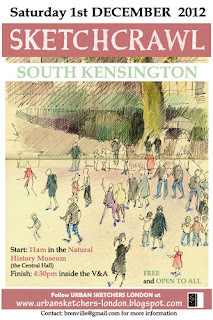 They've been having a public exhibition of the drawings at Somerset House which finished today. I had intended to go and see this but unfortunately missed as my (very wonky) right foot started misbehaving in a major way this morning and it was a struggle just to stay on my feet without falling over! the exhibition of the artwork online until the live auction of 25 selected pieces which takes place at Somerset House at 7pm on 14th November 2012. 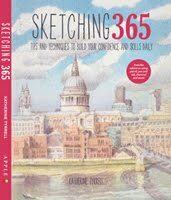 PS I was rather pleased to see that some of the people taking part tend to draw in a way which is not too dissimilar to Urban Sketchers (and Urban Sketchers London)! Posted by Making A Mark on Tuesday, November 13, 2012 1 comments Who's linking to this post? Here's another perspective on the output from BBC News! 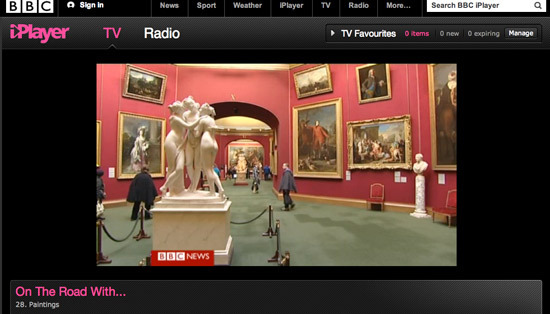 You have 6 days left to watch on iPlayer a BBC News programme about the National Galleries of Scotland. It's not one I've seen - but there's any amount of stunning artwork in the film! Matthew Stadlen spends the day with paintings from the Renaissance period to the 20th century. Posted by Making A Mark on Monday, November 12, 2012 2 comments Who's linking to this post?